Need a new 4WD decal? 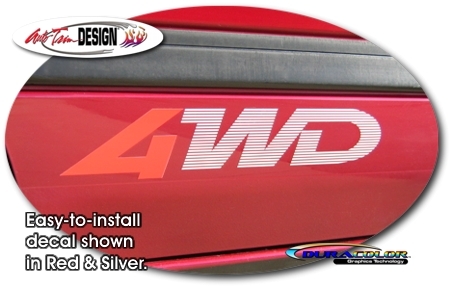 This decal set closely matches the Mazda MPV's 4WD and is manufactured in Red & Silver (printed on clear) as shown. Easy to follow general application and care instructions are included. Your existing decals remove rather easily so get yours today and freshen up your vehicle!